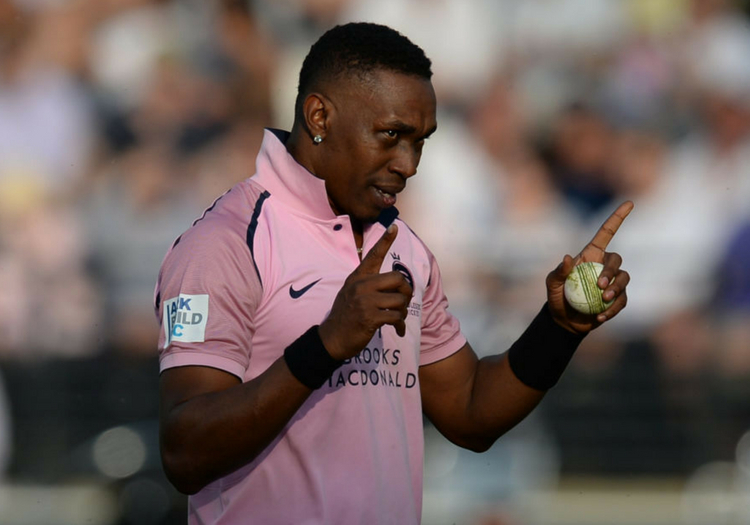 Dwayne Bravo was reported by umpires James Middlebrook and Nick Cooke for dissent during Middlesex's T20 Blast clash with Essex on July 6. Dwayne Bravo is one of six players to have been reprimanded in the latest wave of ECB disciplinary missives. Bravo was reported by umpires James Middlebrook and Nick Cooke for dissent during Middlesex's T20 Blast clash with Essex on July 6. Other players to have received the same penalty for their actions in recent weeks include Northamptonshire's Rory Kleinveldt and Laurie Evans of Sussex. Kleinveldt was cited for "wilful mistreatment" of the ground or equipment during his side's Blast meeting with Notts Outlaws, while Evans was reported for an undetermined misconduct offence. The Glamorgan batsman Graham Wagg, Stuart Whittingham of Sussex and Warwickshire's Aaron Thomason have also been hit with reprimands, which remain on their records for a period of two years. The next level one breach of the ECB's directives made by any of the players will result in three penalty points. Any individual who accumulates nine or more points in a 24-month period triggers an automatic suspension.